Current Grammy-nominated artist and French electronic music composer and producer JEAN-MICHEL JARRE's reputation for the spectacular is unmatched, having been one of the first artists in the world to perform electronic music as we know it today. On Jan. 23, it has been announced he will bring his "Electronica" World Tour to North America, marking his first-time tour here. Tickets go on sale this Jan. 27. 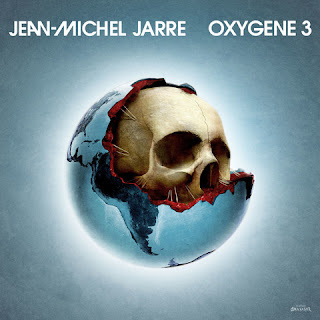 Pre-order the physical edition of his most recent release "Oxygene 3" due out March 24 here smarturl.it/JMJ_Oxygene3 and get presale access for the North American Tour Jan. 25 at 10 a.m. local through Jan. 26 at 10 p.m. local. These announced dates - which kick off May 9 at the Sony Center for Performing Arts in Toronto, Canada - mark JARRE's first-ever proper North American trek. Expect JARRE to bring his critically-acclaimed live show--which blazed across the European continent last year, to high-acclaim--to many hallmark venues on this continent including Radio City Music Hall in New York City, Bell Centre in Montreal, The Greek in Berkeley, Microsoft Theater in Los Angeles and more. Famed for staggering visuals and the use of cutting-edge digital technology, which has been seen by millions of people around the world, JARRE's new live show promises yet again to be a truly immersive musical journey. He'll showcase brand new music from his two-part LP "ELECTRONICA" and most recent release "OXYGENE 3," alongside classic material from milestone albums such as "Oxygene" and "Equinoxe." View a video here of JARRE performing his signature laser harp "The Time Machine," the title track of his current Grammy-nominated album ("Best Dance/Electronic Album"), ELECTRONICA 1: THE TIME MACHINE: youtu.be/DnAfXK-hft8. With his renowned city-scale concerts, JEAN-MICHEL JARRE has set Guinness World records across the globe, including: His memorable one-off city-scale concert in Houston in 1986 for NASA's 25th Anniversary and in a moving commemoration of the Challenger Mission to which over 1.3 million people gathered to share this groundbreaking show at the foot of Houston's skyline; an audience of 2.5 million in front of La Défense skyline, Paris; and going on to break his very own record in Moscow, when he played to over 3.5 million people for the city's 850th anniversary. In late 2016, JARRE unveiled digitally via Sony Music International the final chapter of his OXYGENE trilogy with OXYGENE 3. The album will now be available in physical format in the U.S. as of March 24 in advance of his 'Electronica' World Tour. Forty years on from the release of his groundbreaking first OXYGENE albumand 20 years on from its sequel - JARRE completed the trilogy with seven new original compositions, titled OXYGENE parts 14-20, to cap off a trailblazing four decades in music. "Oxygène 3 has its place within electronic music's history," Consequence of Sound said. Billboard said, "…If you're looking for something to get you through the working hours or moments of reflection, put this beast on from beginning to end and watch the productivity and creativity explode." Prior to his tour, JEAN-MICHEL JARRE travels to Los Angeles for an appearance at NAMM on Jan. 18 and will return again in February to Los Angeles to attend the 59th Annual Grammy Awards Ceremony where his album "ELECTRONICA 1: THE TIME MACHINE" (Ultra Music) is nominated for "Best Dance/Electronic Album." The first of a two-part album, it features a true who's-who list of collaborators (Pete Townshend, Moby, Tangerine Dream, etc) and was conceived with JARRE's wish to encompass the last few decades of electronic music into one mesmerizing LP. "Jarre is in the business of stimulation and spectacle, and he is excellent at both." "Jarre has re-discovered his Mojo..."
"...an ornate and luxuriant tribute to the analogue tones of vintage synthesisers"
"In 2016 Jean-Michel Jarre sounds as relevant as ever"
"This purposefully sense-boggling show would go down a storm at a festival or dance event."